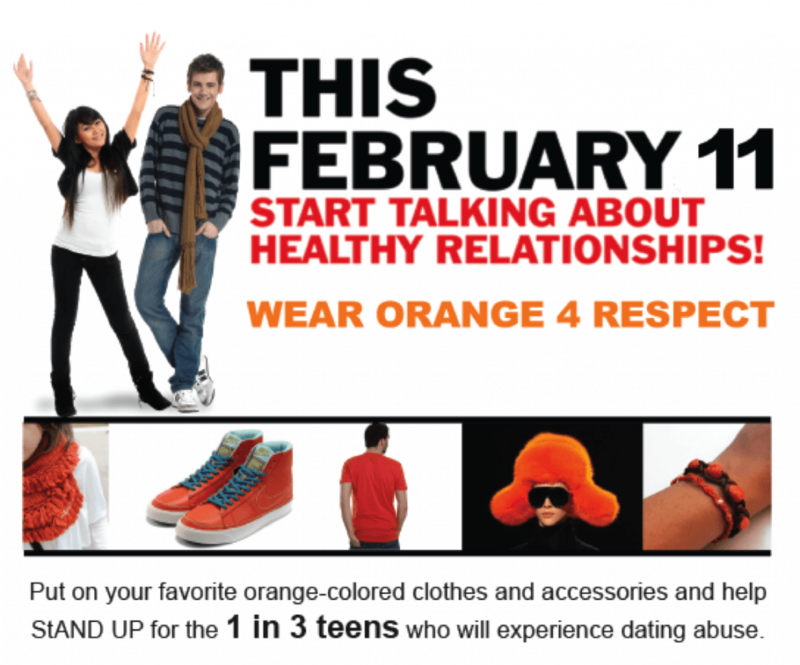 I’m wearing orange today to promote respect and healthy relationships! For me, I am wearing the orange of my world champion San Francisco Giants teeshirt and cap. Go orange!